Parents and pediatricians alike may worry about the effects of teens’ screen time, but new findings from over 120,000 adolescents in the UK indicate that the relationship between screen time and well-being is weak at best, even at high levels of digital engagement. The research is published in Psychological Science, a journal of the Association for Psychological Science. “When we looked at the existing literature as scientists, and parents, we saw an area rich in opinions but short on evidence. We were surprised how poorly linked the literature was to the advice provided to caregivers and educators,” Przybylski explains. To address this gap, the researchers decided to analyze digital screen time data collected from a large and representative national cohort of British teens, using open and transparent research methods. Capitalizing on the United Kingdom’s Department for Education National Pupil Database, the researchers analyzed data measuring screen time and well-being collected from 120,115 15 year-olds. The teens completed a well-established self-report measure of mental well-being and answered questions gauging how much time they spent engaging with different types of digital activities, including watching TV and other media, playing computer- and console-based games, using computers to surf the web and check email, and using smartphones for social activities. In contrast to the argument that the detrimental effects of technology are likely to increase as usage increases, Przybylski and Weinstein hypothesized that there may be a digital “sweet spot” between low and high technology use. In this sweet spot, they speculated, screen time is not harmful and may even benefit teens’ well-being by providing opportunities to develop social connections and skills. Nearly all — 99.9% — of the participating adolescents reported spending time using at least one type of digital technology on a daily basis. The teens reported spending more time engaging in digital activities on weekend days than on weekdays; they spent more time overall using smartphones compared with watching TV, playing games, and using the web. The data for all digital activities, on both weekdays and weekends, showed trends consistent with the researchers’ sweet spot hypothesis – teens’ well-being increased as their screen time increased, up to a certain point. After that point, increased screen time was associated with decreased well-being. These curvilinear trends remained even after Przybylski and colleagues accounted for participants’ gender, ethnic background, and socioeconomic background. Using statistical methods to determine the tipping point for each type of activity, the researchers found that, on weekdays, teens’ well-being peaked at about 1 hours and 40 minutes of video-game play, about 1 hour 57 minutes of smartphone use, about 3 hours and 41 minutes of watching videos, and about 4 hours and 17 minutes of using computers. In general, the points at which screen time turned potentially harmful were even higher on weekend days. Importantly, the analyses showed that above these tipping points, links between screen time and well-being were weak – for example, the negative association between screen time and well-being was only a third as strong as the positive associations between eating breakfast and well-being and between getting regular sleep and well-being. 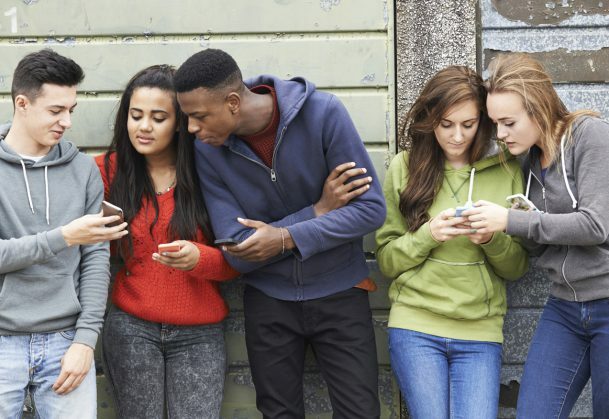 Based on these findings, the researchers conclude that moderate digital engagement is unlikely to convey any real risk to teens’ well-being, and any risks are likely to be small even at high levels of engagement. Taken together, these new findings suggest that the effects of digital screen time likely depend on the type of digital activity and the amount and timing of that activity, among other factors. Although excessive engagement may displace some important activities, moderate amounts of screen time could potentially benefit teens. “In future work, researchers should look more closely at how specific affordances intrinsic to digital technologies relate to benefits at various levels of engagement, while systematically analyzing what is being displaced or amplified,” Przybylski and Weinstein conclude. All data, materials, and pre-registered design and analysis plans are publicly available via the Open Science Framework. The complete Open Practices Disclosure is available online. This article has received badges for Open Data, Open Materials, and Preregistration (more information at OSF and Psychological Science. I wonder what corporate entities funded this “Study.” It is pretty clear that it paints a benign view of the technology use by young people. They also presuppose that parents are responsible, parents that have a hard time regulating their own use of technology. The Tech Billionaires provide attention and rewards for studies like this one.